The bike is a very hilly ride around the harbour. Olympic = 38-39km straight out and back to Orton Bradley Park and back. The course is subject to our traffic management plan being accepted. It will consist of 2 long laps + 1 short lap to finish. Long lap description: Up the hill out of Corsair Bay, right towards Lyttleton on the footpath, right into Voelas Rd, right into Godley Quay, right into Charlotte Jane Quay, right into the carpark that leads to yacht club, behind the yacht club leading onto the track, follow the track back to Corsair Bay. 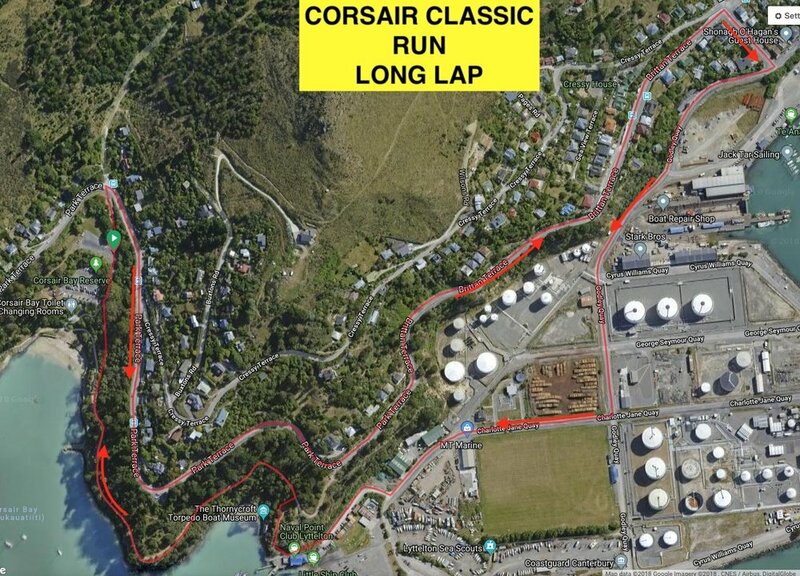 Short lap description: Up the hill, right towards Lyttleton on the footpath, hard right at the white gates that take you onto the track back to Corsair Bay. The start will be behind the beach where the swimmers start. Athletes run along the track for ~100m then turn hard left up the hill past transition. 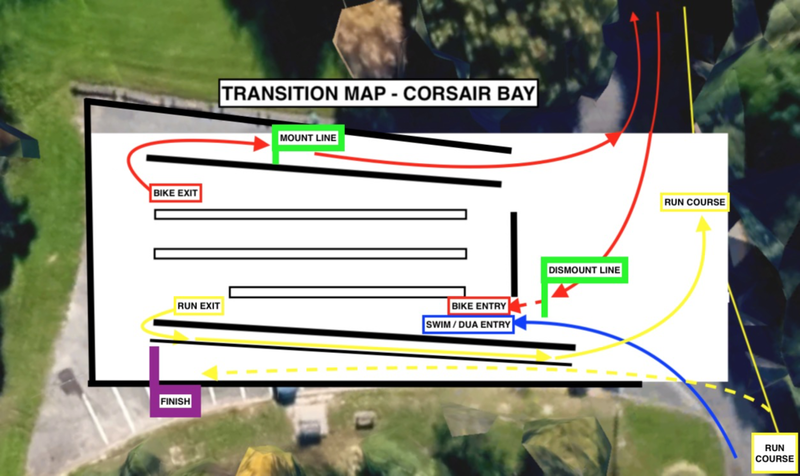 First complete 2 short laps (3.3km) as described above for the triathlon run course. The aquabike option starts with the triathlon. You complete the swim & bike legs, rack your bike, exit transition as if you are starting the run leg turn and run down the finish chute.